The EU forecast was slightly down on its previous prediction but unemployment is heading down towards 5% and real wages rose by 3.2% last year while prices increased by only 0.7%. Ireland was ranked 24th out of 137 nations in the World Economic Forum Global Competitiveness Index last year. However, the report highlighted the need to improve infrastructure and cut bureaucratic burdens on business. An OECD report last year highlighted the need to boost productivity too. In a blog post last year, economist Seamus Coffey, who chairs the state spending watchdog the Irish Fiscal Advisory Council, attributed much of the GDP growth spike to 25.1% in 2015 to one multinational corporation moving its intellectual property rights to Ireland from Jersey to comply with tax rules on profit shifting. Europe’s crucial year: Will it rise to the challenge? 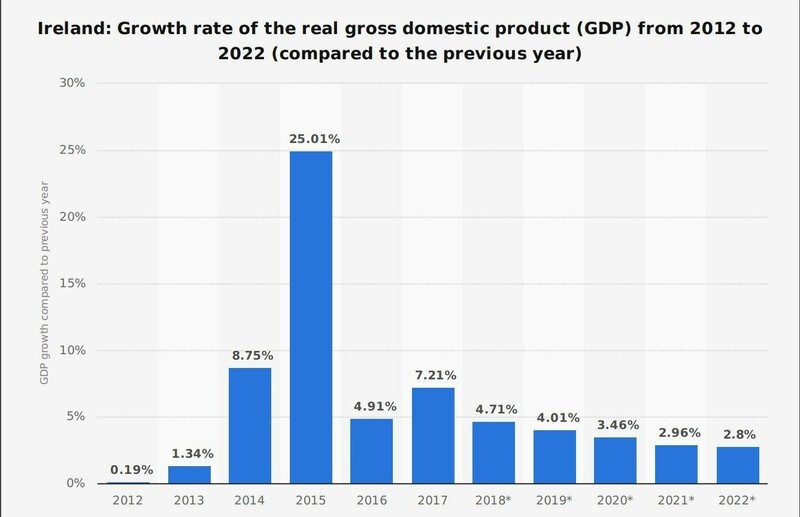 Although the growth rate slowed in subsequent years it was still 7.21% in 2017, falling back slightly to 6.7% last year. 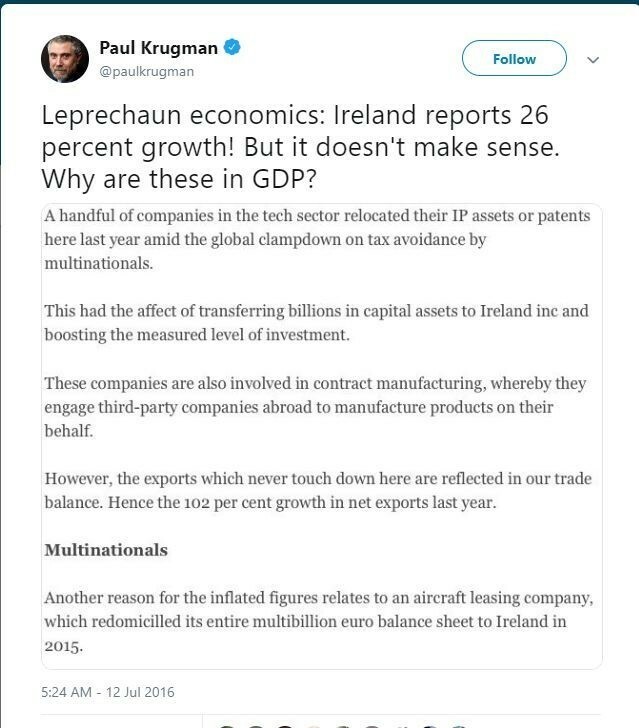 The Irish Economic and Social Research Institute again cited “multinational related activity” as a factor in GDP levels last year.